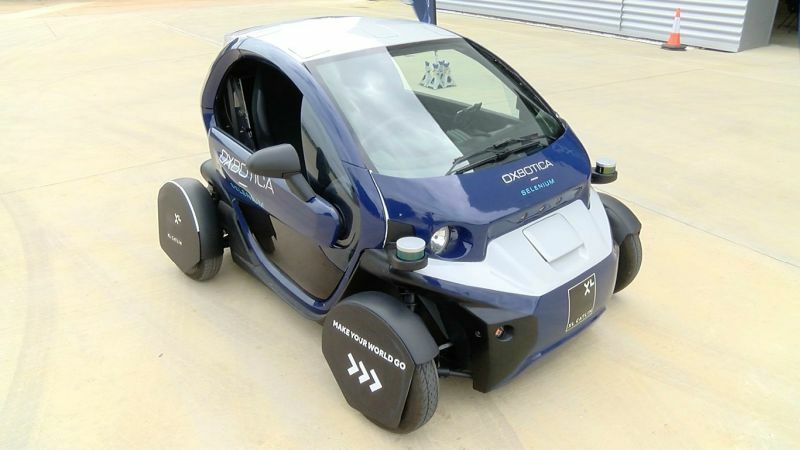 Oxbotica, an Oxford-based start-up company have made an autonomous technology software that can be used by any type of car. As befits the products of Tesla Motors or Google, any car that uses such software can drive itself to the destination without being controlled by the driver. As a trial in London recently, the the software in question named Selenium is applied to a robot car with a capacity of two persons. Selenium uses a GPS-free approach, where the vehicle’s environment is mapped using a patented laser and vision-based system. The technology automatically detects and removes 3D objects from point clouds in real time, creating an accurate picture of the car’s surroundings. This means the system can operate indoors, outdoors, and underground, with vehicles capable of autonomous operation in both pedestrianised areas and open stretches of road such as motorways. According to an expert of Oxbotica named Paul Newman revealed that the rapidly growing automobile technology from time to time. However, the software that makes the car be smart not widely used. "We make the operating system for the autonomous car. Even, for the forklifts and farm vehicles could drive themselves, "said Newman, as reported by the BBC on Wednesday, July 19, 2016. Furthermore according to him, the next autonomous cars were circulated in the community does not 100 percent safe. Potential accidents can happen. However, this technology will continue to be refined. "There was an accident there would be development on this technology for years to come," he said. While the Oxbotica CEO Dr Graeme Smith said, "Selenium represents the culmination of about 130 person years’ worth of work in mobile autonomy. "Selenium is an important chapter in the ever-changing story of autonomous vehicles. As a result of the team’s hard work on Selenium, our customers are able to take full advantage of the benefits on offer from this futuristic technology today rather than tomorrow."